We love this Asian Fusion bistro that’s in the area and they make this dish called Thai Basil Steak – one of my absolute favorites. I decided to try and re-create the dish at home and what a success. This dish is vibrant in flavor – the salty sweet combination of the soy sauce and honey. Then the heat from the chili pepper hits the back of your tongue and your taste buds just explode. 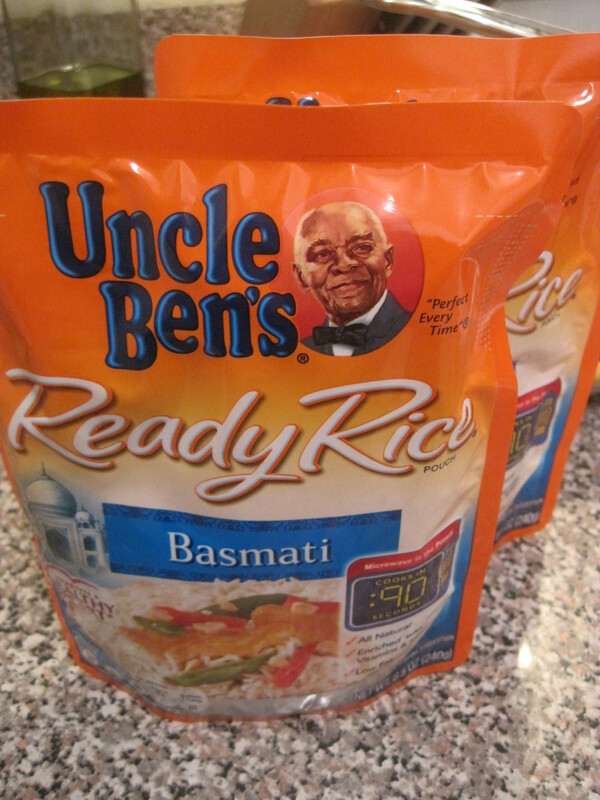 Serve over basmati rice and you’re taken to another world with this meal. 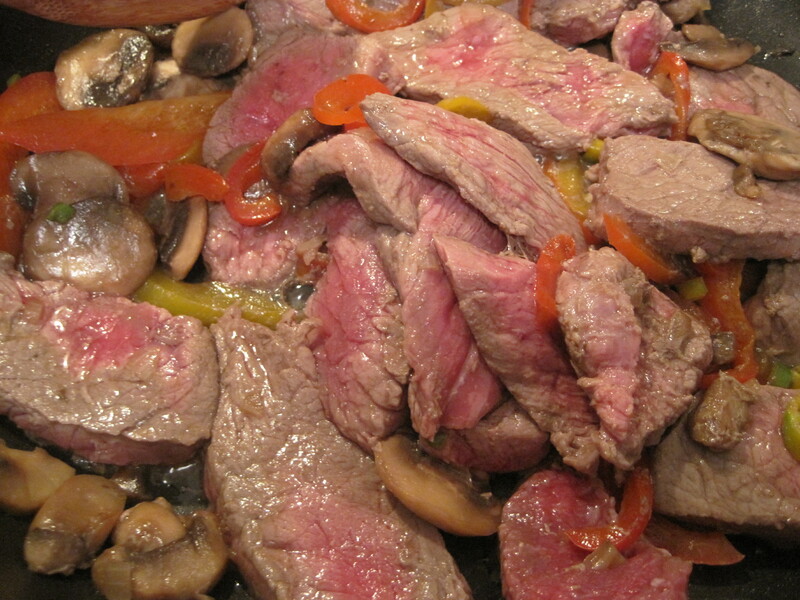 *To make the London Broil easier to cut – I used a frozen cut of meat and thawed it out till it was soft on the outside but still a bit frozen on the inside. 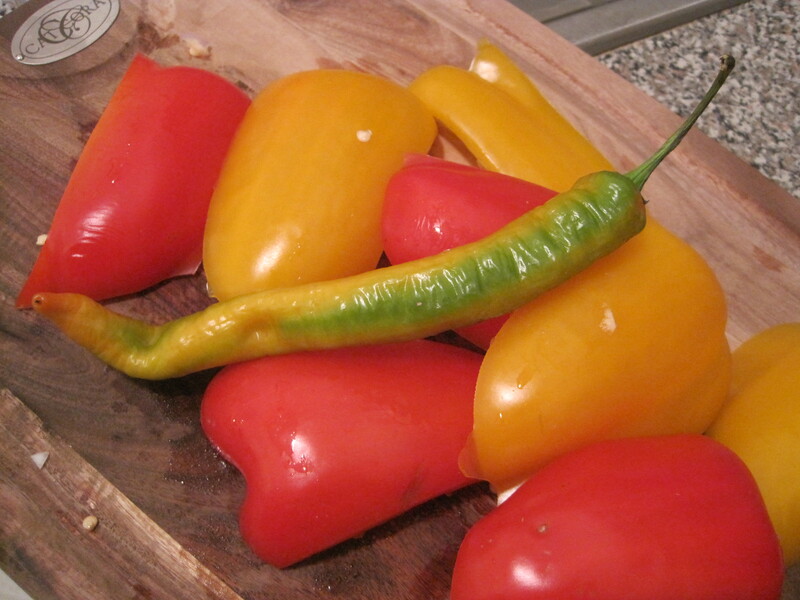 *For your chili pepper be sure to remove the seeds and wash down the pepper – believe me the pepper alone will create allot of heat. – In a bowl combine (1) cup of soy sauce, (2) teaspoons of fish sauce, (2) tablespoons of brown sugar, (2) tablespoons of mirin, (2) tablespoons of corn starch. – Mix till the liquid thickens a bit and then place off to the side. 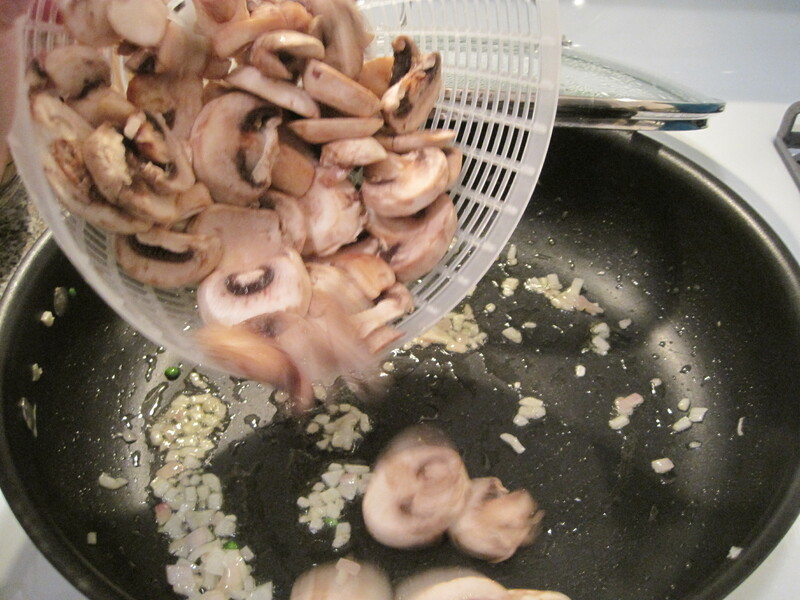 – Brown chopped shallot and garlic in olive oil in a sauce pan. 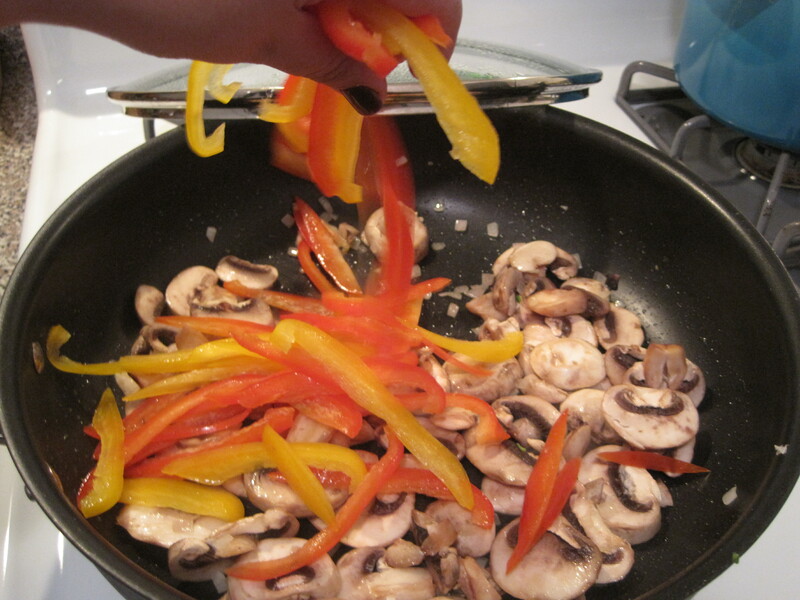 – Add in mushrooms and cook through a bit. 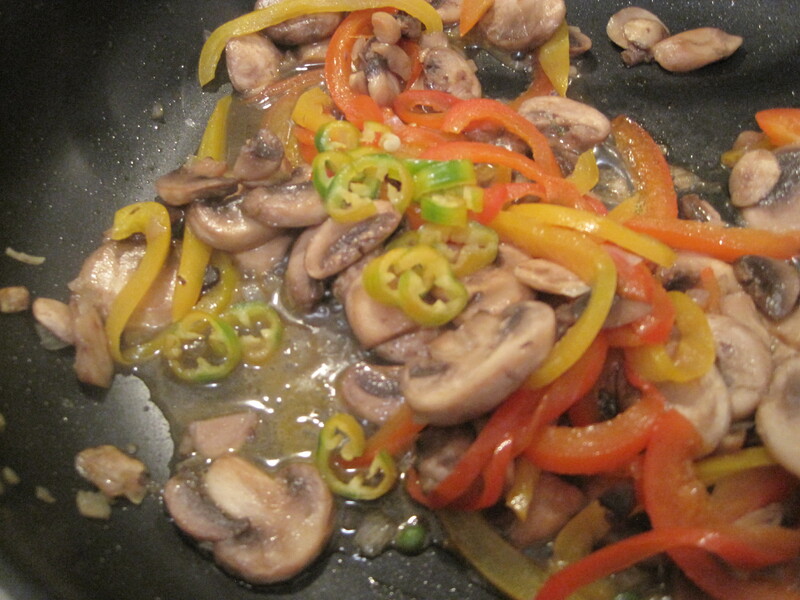 – Next add in the sliced bell peppers and continue to sauté all till cooked through. 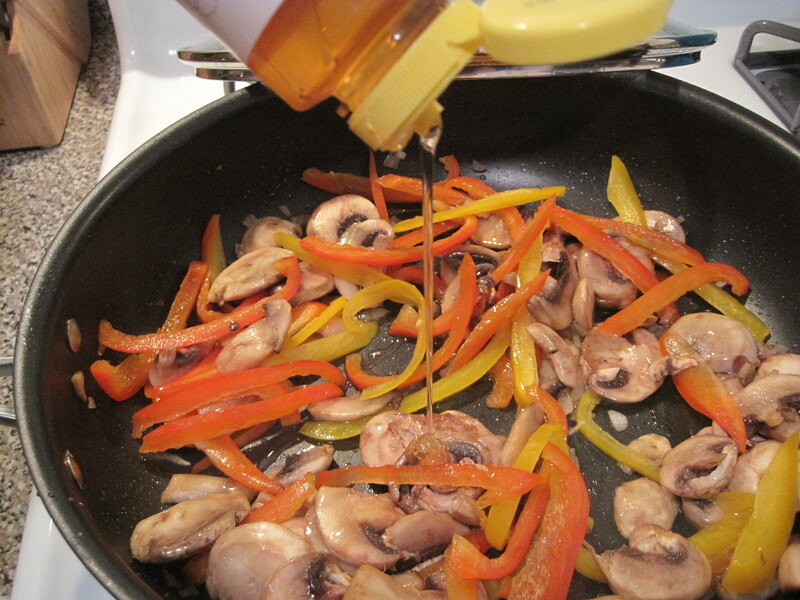 – Now you will add in about (2) tablespoons of honey and continuing cooking. 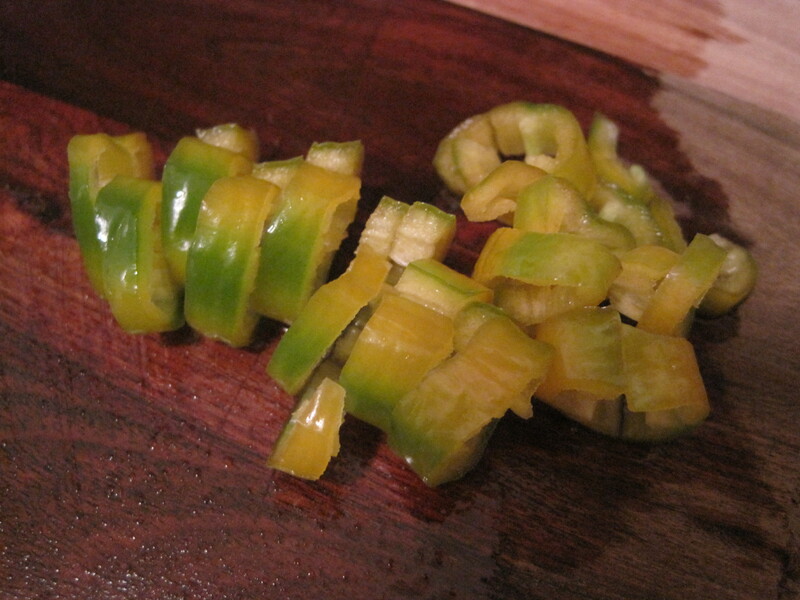 – Next throw in the cleaned and chopped green chili pepper. 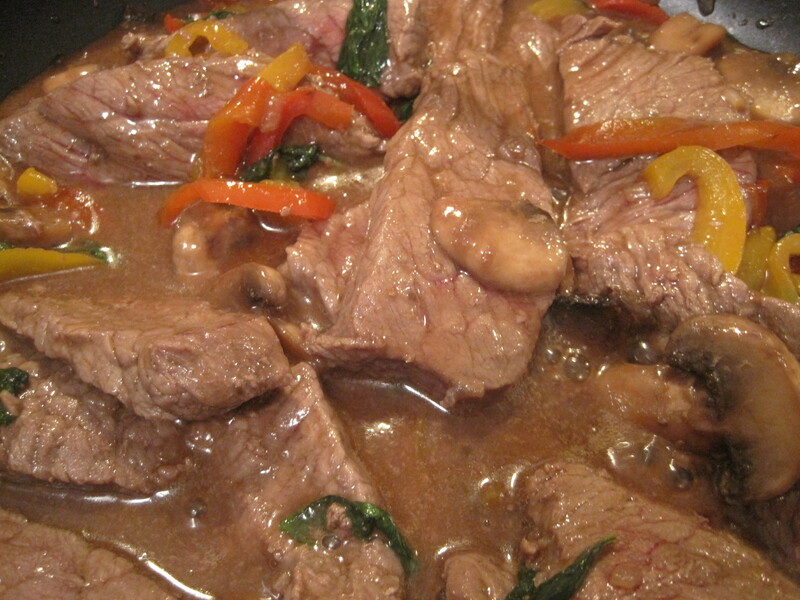 – Throw in sliced beef season mix with black pepper and garlic powder. 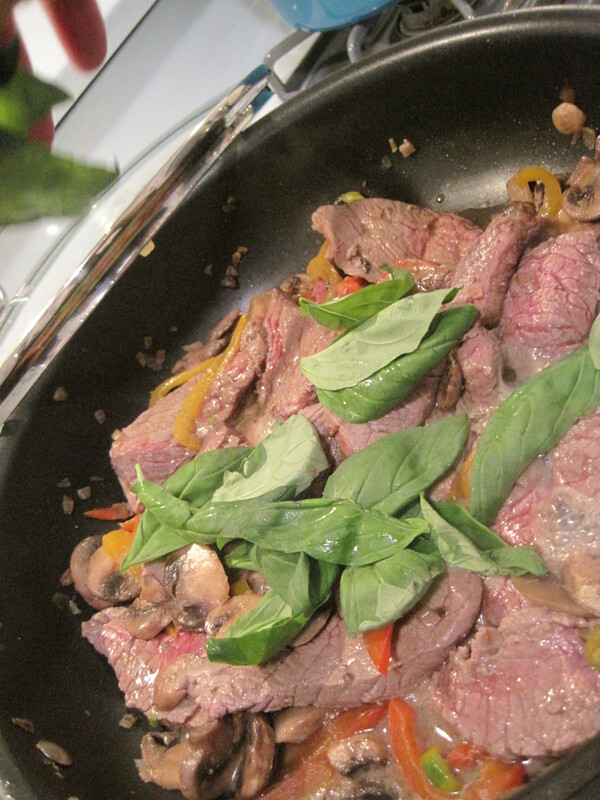 – Once beef is slightly browned throw in a large handful of basil. 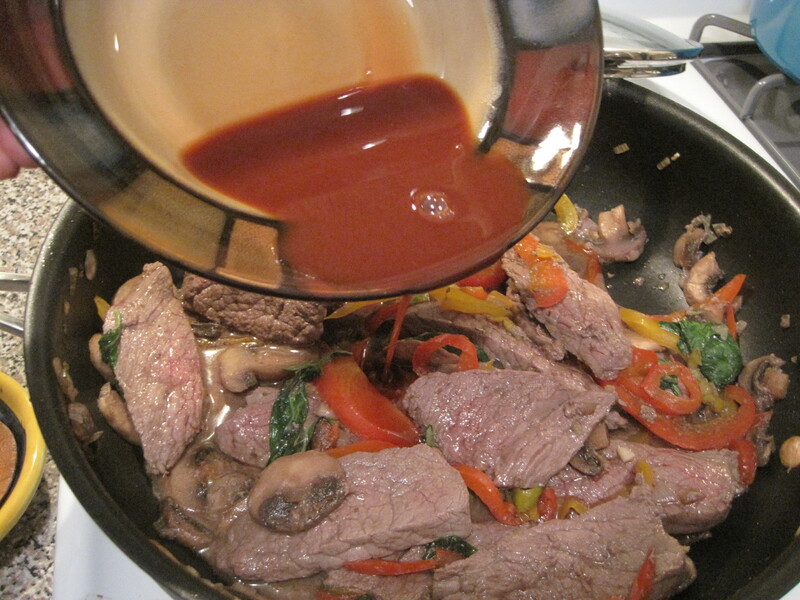 – Top all with the sauce from the bowl (mix the sauce before placing in sauce pan). – Cover and let simmer till basil is wilted. 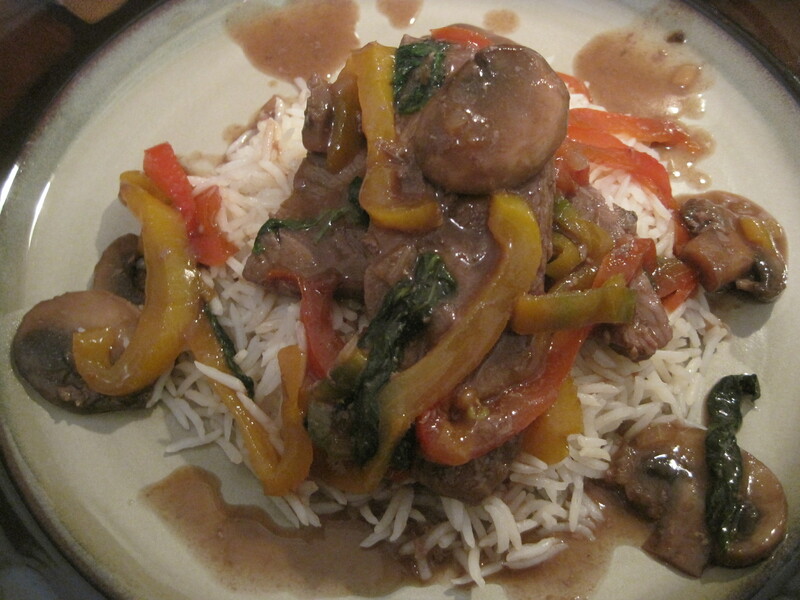 *While the basil is wilting you can microwave the basmati rice then plate a portion of rice on each plate. – Once the basil is wilted – turn off heat and meat should be cooked enough where it’s still a bit rare inside. *If you prefer the meat to be well done cook a bit longer. – Ladle the beef mixture on top of rice and serve.